Whenever I want to find news about sports, soccer / football appears to be dominating the world sport scene / headlines. And that obviously make some soccer players as one of the top paid players / sportsmen. Six of the 10 lucky ones: Do you think the highest paid is included here? 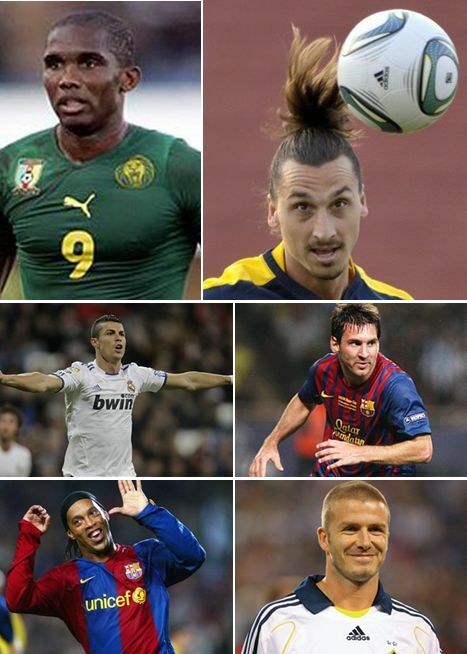 Business Insider has compiled a list of 10 such soccer players that are the highest paid in the world. These 10 players earn something like $ 17,000,000 to $ 40,000,000. Here is a slide show - find out if your favourite figures out in the list or is just struggling somewhere below ! !